New Year, new me is a promise we all make ourselves as we attempt to convalesce from Christmas overindulgence but rarely leads to lasting changes. So, instead of beating yourself up for stumbling with your resolutions how about you make some changes to your home? Spring is almost here and you may already be planning a spring clean and declutter of your home so why not make use of the time spent cleaning to make a few simple changes to give your house a little lift? Storage is an issue for most homes these day as the average square footage in UK homes shrinks with every generation of new builds. The cost of housing also means many of us move into homes smaller than our needs and must be super creative when making the space work. Beds are often the go to place for storage and with the best will whilst spring cleaning, there’s always so much stuff we just can’t bear to let go so it ends up under the bed. Ordinary beds offer generous space to storage things under but can be an eyesore and also a bit of a pain if what you need to retrieve is right in the middle – even more so if your bedroom is a little on the small side. Divan beds offer tidy storage with drawers but you can still suffer from the space problem when opening the drawers and many divans don’t utilise the full bed space. 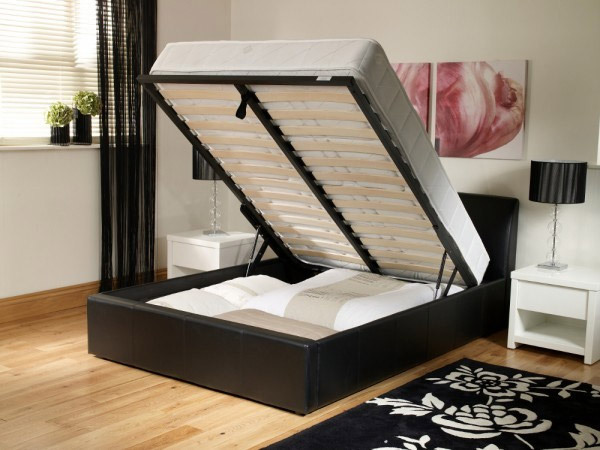 Ottoman beds are the perfect hybrid because it utilises the whole space but removes the small bedroom issue. The beauty and the convenience of an ottoman bed is that it lifts effortlessly beneath the mattress allowing you to easily access your hidden items – it’s also the perfect place to hide presents away from prying eyes and inquisitive little hands. It’s important to change your bed and mattress every 8 years – you can give yours an MOT with the UK Sleep Council – and thanks to Bedstar and their user-friendly website you can find your next great night’s sleep without leaving your sofa from their great range of beds and mattresses. Small additions like plants are an easy way to freshen your home and not just visually. 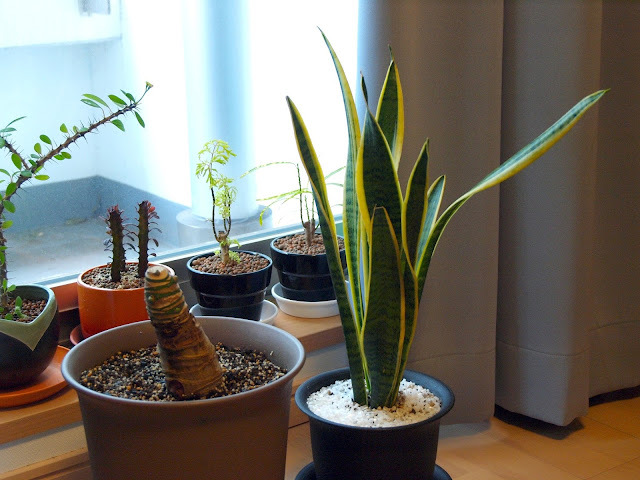 Plants look great and are known to have mental well-being benefits but they also are natural air purifiers and will even deodorise your home too. Decorating a whole room can be a pain but with little more than a small tin of paint, a brush and about 20 free minutes you can transform any room by painting a bright, fun colour in your window recess. The pop of colour will lift the entire room and give the impression of being newly decorated. You can achieve a similar outcome with wall stencils. Natural light will beautify and enhance any room and thankfully the sun is starting to shine again. You can maximise this natural light (and reduce your electricity bill) by placing reflective surfaces on your walls – there’s so many options to choose from as well. You can go down the conventional route and put up some mirrors with pretty frames or you could opt for copper or chrome wall ornaments or even pictures or paintings with glass surfaces. Canvasses have been all the rage for a few years but traditional frames with glass fronts are coming back in fashion and cheap UV technology means your photos won’t fade. 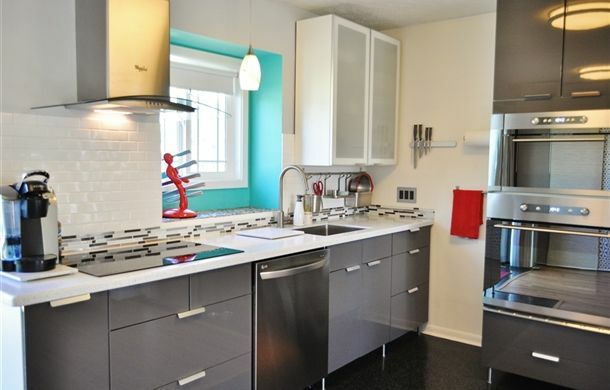 A few simple changes to your home this spring could make the world of difference.